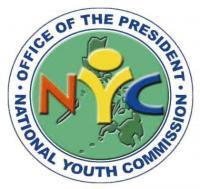 MANILA (Mindanao Examiner / Oct. 11, 1011) - The National Youth Commission on Tuesday said 2o organizations have made it to the finals of the 9th Search for Ten Accomplished Youth Organizations in the Philippines. The finalists from the National Capital Region are Ateneo Special Education Society, Linangan Sa Imahen Retorika at Anyo, UP Junior Marketing Association, Alliance of Young Nurse Leaders and Advocates International, Inc., and Indak Kabataan. The University of the Cordilleras-Hapiyoh’ Mi Cultural Group, Kairos Band, Philippine Junior Jaycees Inc., AUL-Stage, and The Mountain Collegian, are the finalists from Luzon while the Abellana National School Rescue Group Inc., Aklan Catholic College, Hayag Youth Organization, Incorporated, AKMA – RESBAK, Industrial Engineering Council are from the Visayas. Finalists from Mindanao are the Young Mindanawans Peace Builders, Youth Solidarity For Peace, UP Omega Alpha Fraternity and UP Omega Alpha Sorority, Association of Locally Empowered Youth in Northern Mindanao, and Maco Youth For Peace. Georgina Nava, NYC Commissioner, who heads the TAYO Organizing Committee, said this year’s screening is the hardest yet. “Mas maraming organizations ang sumali at nahirapan talaga ang screening committee sa pagpili kung sino ba ang mas maraming nai-ambag sa community nila. Patunay ito na higit na mas maraming kabataan ngayon ang aktibo at may pakialam sa kalagayan ng kanilang komunidad,” Nava said in a statement sent to the Mindanao Examiner. The finalists will undergo another round of screening on October 23 to 26 and from which will emerge the Ten Accomplished Youth Organizations. The awarding ceremonies will be held on October 27 at the Malacañang Palace. Meanwhile, the NYC said it is also inviting college students to the Japan-East Asia Network of Exchange Students and Youths Program which is now open for application. It said 100 slots are available to Filipino students from all over the country who have good moral character and a Graded Weight Average of 2.25 or 85% equivalent. Leon Flores III, NYC Chairman, said: “This will be a chance for them to learn everything about Philippine-Japan relations; Japanese culture; and issues on technology, environment, tourism, and health. They will interact with experts and will have a chance to live with a Japanese family. So anyone who’s interested in the Japanese culture is most welcome to apply,” Flores said. The program is an annual exchange carried out by the Japan International Cooperation Center and Japan Information and Cultural Center and NYC.